Holly is locally known for her off camera flash techniques as well as her skills as a sports photographer for the University of Illinois. She is a gifted photographer specializing in weddings, seniors and boudoir! We love her personally as well as professionally and when we sat down last year and considered who would be a good fit to teach on lighting, Holly was mentioned immediately! You will not be disappointed if you make time to attend her presentations or her hands on demo! What is your guilty pleasure? Massages and pedicures! What was your most embarrassing moment? Going to the wrong church before a wedding. Luckily I was only about a mile away from the correct church, but YIKES!! If you could travel anywhere, where would you go? Austria! I want to do Fraulein Maria’s bicycle tour! Are there any areas in your life that could use a “Reset?” I’d like to start with a full house cleaning so I don’t feel like I’m drowning in housework every week. Have there been moments where you are photographing and you realize that this is bigger than yourself? Oh yes! I was honored to photograph a vow renewal recently of a woman named Diane who has Stage 4 breast cancer. There’s an organization called the “Dream Foundation” that is sort of like “Make a Wish” but for adults with terminal illnesses. Diane’s Dream was to renew her vows to her husband Dennis. It was both inspiring and heartbreaking to photograph the event knowing that it might be one of the last times that Diane and her family would all be together. What words of advice would you give to someone just starting out? Learn your camera inside and out. You should get to where using it feels like second nature and you’ll be much happier during your sessions or weddings. What’s your typical day usually look like? Ha! No day is typical for me, but here goes: Get up at 6:50, get Kindergartner on bus at 7:20, drop 3-year-old off at daycare at 8:30. Head to library or coffee shop for a couple hours to be a part of civilization and use internet, answer emails, upload photos, etc; run a couple of errands, home for lunch, get kiddo off the bus at 3:25, design a wedding album, pick up 3yo at 5pm, make dinner & then either watch TV with the hubby or get ready for a meeting or session. Whew! 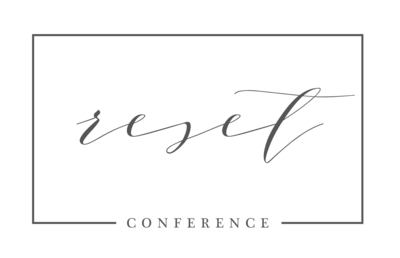 -Do you feel like attending workshops/conferences are valuable? Yes! I have had great experiences at WPPI, Imaging and of course Reset. I think the key is choosing the right classes & shootouts. I did an amazing shootout in the desert at WPPI and it was one the best experiences I could have had! -Favorite Software (presets, actions, templates, etc?) SmartAlbums has changed my life! Designing wedding albums used to drag me down and I would procrastinate because selecting the images and then choosing the layouts was so tedious. Now it is a breeze! -Favorite Photo Find (Lab, forum, camera bag, etc.) Many, many years ago I was part of a Flickr group called “Starting a Wedding Photography Business.” I gained SO MUCH valuable knowledge and contacts through that group that I will probably never fully know the full extent of what I got from it. The group has since evolved and changed names, but I still follow many of the people I met through it and it’s so great to see all their many successes all over the country and the world. 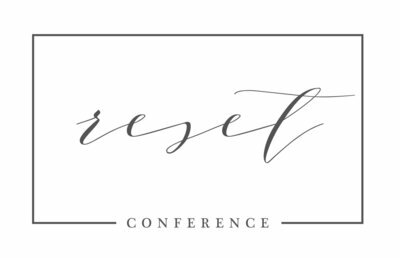 -Summary of what you hope to share with attendees of the reset conference. I can’t tell you how excited I am about I am to teach about off-camera flash! I think it’s something that every wedding photographer can easily and fairly inexpensively work into their repertoire. My hope is to leave the attendees with plans to try out OCF on their next clients!